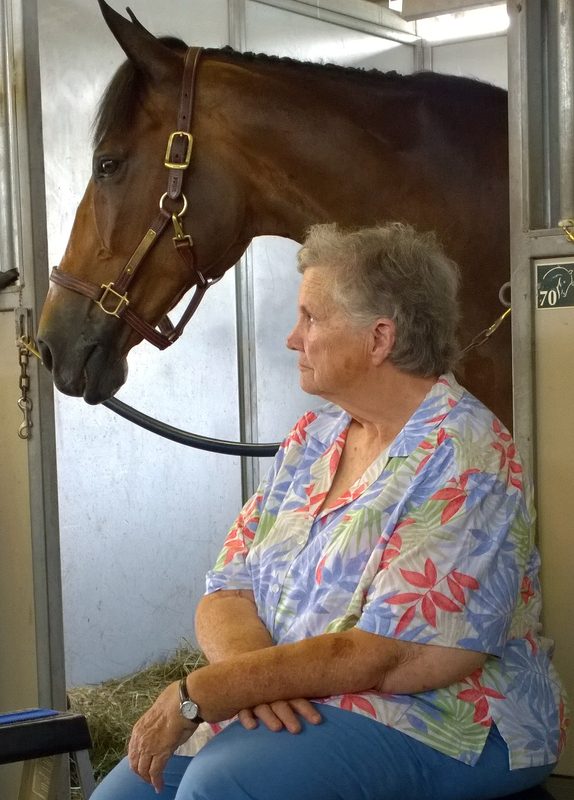 Her mission is to teach children about horses and their care, so 4-H volunteer extraordinaire Judy Hennessy certainly wasn’t looking for recognition. That’s why being named New Jersey Horseperson of the Year was quite a surprise. “I had no clue. It never would have dawned on me that anything like that would have come of this,” said Judy after receiving the award last weekend at the state’s annual breeders’ luncheon in Eastampton. She got involved when her children, Kevin and Stacy, joined after seeing how much fun the 4-Hers were having at the Somerset County 4-H Fair. In the late 1970s, she took over as the leader of the Chaps N Spurs club, which now has members from both Somerset and Hunterdon counties. At one time, however, there were 17 4-H clubs in Somerset County alone. The state was less developed then. “There were horses everywhere,” Judy recalled, noting how kids would keep their horses in their backyards and go for daylong rides with a lunch bag tied to their saddles. “You can’t do that anymore,” she said, noting few children even take care of their own horses these days. She mourns the fact that for the most part, kids don’t read about horses, not “Black Beauty” or the “Black Stallion,” not books on riding and horse care. So Judy finds a way to educate them, whether it’s through field trips, using the annual tack sale as a learning experience about different kinds of equipment or offering one-on-one advice. Carol Ward, the Somerset County 4-H agent, called Judy, “One of our most dedicated volunteers.” She sees her every Wednesday with her own club, but Judy comes on other nights to work with children prepping for the Horse Bowl and other competitions. “If the kids will come, she will be here. If they are willing to put in the time, she is certainly willing to impart her knowledge; it’s quite extensive. Anatomy, physiology, style of riding, all types of things–she is a treasure to have,” said Carol. In addition to everything else she does, Judy coordinates two county 4-H qualifying horse shows each year and two tents full of horses during the Somerset County 4-H Fair. “For a lot of the kids, that’s the only time really they are responsible for their horses,” she said. But the real reward for Judy, who is employed as a secretary at the Mid-Atlantic Equine Medical Center, is when the kids she works with really understand how to care for horses and perhaps point for veterinary school or something else involving horses. “I’m glad to see them go on ahead and stay in the business,” Judy said.